There were 32 posts published in October 2017 (this is page 1 of 11). 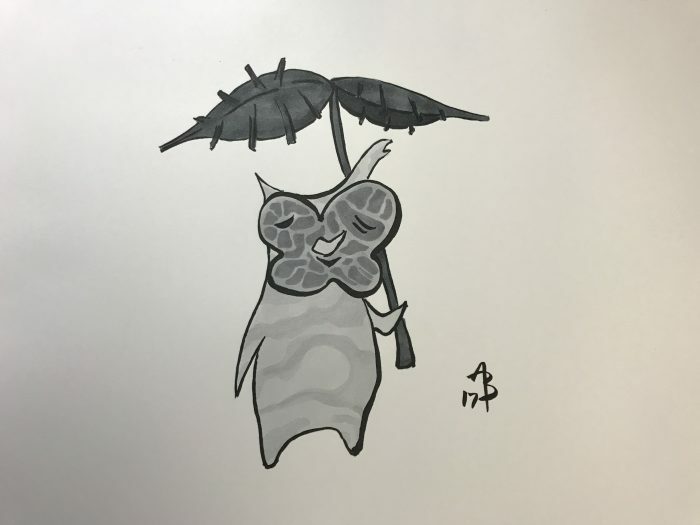 “You found me!” This little Korok is going to bring it on home for me. I thought his design would be fun to do with Copics without trying to outline everything. This was really fun, but it’s also a relief to be done with a schedule. This is my last Inktober drawing for the year. It was a really fun challenge. If you’ve been following along, thanks for watching! I may post more drawings in the future, but I’ll probably be back to cat & toddler photos for a while. Captain Toad. 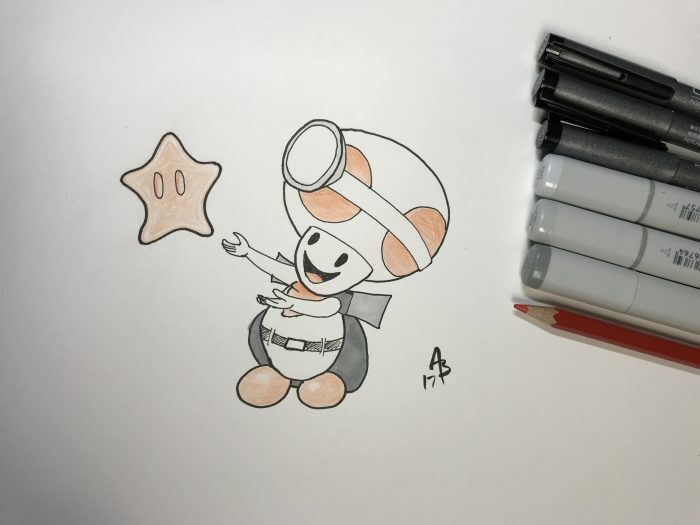 I tried to get the star looking right for at least 20 minutes – my hand just refuses to draw a proper Mario-style star. Toad turned out ok though. The line work isn’t the best and the hands are terrible, but I’m getting better at proportions at least. I messed up inking one of his eyes, so I made them both wonky so at least they match. Powerpuff x Triforce. It really needs some shading of some sort, but I felt like I’d overdo it, so I just left it as-is. 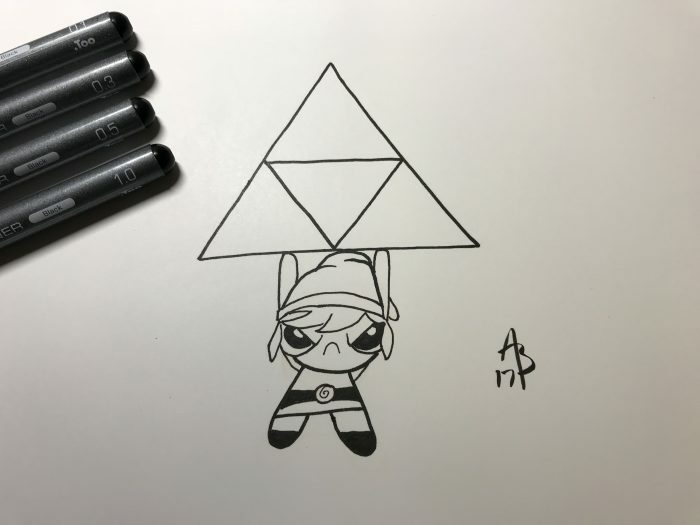 I stumbled across a Powerpuff Triforce Heroes sketch and really liked it, so I thought a Powerpuff Girl holding the Triforce would be nifty.